The Julia Electric Adjustable Bed, is the latest addition to the Care to Comfort collection and is exclusive to Care to Comfort. This Modern Unique Divan Style Bed Range is available as a traditional Electric Adjustable Bed, that raises at the Head End and also at the Foot End, but in the case of the Julia Electric Adjustable Bed, a High-Low(Vertical-Lift, or Carer’s Bed) can be installed in One or even Two sides of a Dual Mechanism Bed. This Divan Style Electric Adjustable Bed, has a beautiful modern contemporary look and is available in a wide range of stunning colours. A beautiful Headboard is included with the Julia Electric Adjustable Bed, also included is a top of the range Sleep Easy Mattress. 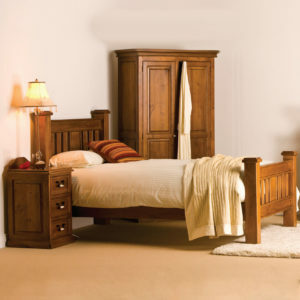 Head Board Height :110cm(43.75 inches). Headboard Thickness : 10cm(4 inches). The Julia Electric Adjustable Bed can also feature the Reverse Trendelenburg Position, whereby the head-end of the bed is raised vertically , which can offer great relief to a person who suffers with Respiration issues, or for Overweight or Obese Individuals. A smart Cordless Remote Control,which has very clear,easy to use symbols,is available with the Julia Electric Adjustable Bed, but ONLY when the High-Low(Vertical Lift/Carer’s Mechanism) is required. For someone who needs a little bit extra security in bed, Side-Rails can be provided with The Julia Electric Adjustable Bed. These Side-Rails can easily be Folded Away for easy access in and out of bed. €195.00(per Side-Rail), or Two Side-Rails for €299.00. The various sizes of the Julia Bed Frames and Mattress’s are all listed in Metric sizes, Care to Comfort offers Bed Linen to fit these Metric sizes. The Julia Electric Adjustable Bed is also available in Extra Long Length for the Taller Person. Click here for more information. 80cm Small Single Bed(approx 32 inches) x 200cm(79 inches) in length. 90cm Small Single Bed(approx 36 inches) x 200cm(79 inches) in length. 100cm Single Bed(approx 40 inches) x 200cm(79 inches) in length. 160cm. 2 x 80cm Dual Bed(approx 63 inches) x 200cm(79 inches) in length. 180cm. 2 x 90cm Dual Bed(approx 71 inches) x 200cm(79 inches) in length. The Julia Electric Adjustable Bed is the latest addition to the Care to Comfort collection and is exclusive to Care to Comfort. This Modern Unique Divan Bed Range is available as a traditional Electric Adjustable Bed, that raises at the Head End and also at the Foot End. In the case of the Julia Electric Adjustable Bed, a High-Low(Vertical-Lift, or Carer’s Bed) can we be installed in One or even Two sides of a Dual Mechanism Bed. This Divan Style Electric Adjustable Bed has a beautiful modern contemporary look and is available in a wide range of stunning colours. Standard Length of Julia Electric Adjustable Bed is 2 Metres(6Ft 6inches). & 2.2 Metre(7 Foot 3 inches). Click here for more information. Price of Side-Rails : €225.00(per Side-Rail), or Two Side-Rails for €399.00. A beautiful Headboard is included with the Julia Electric Adjustable Bed also included is a top of the range Sleep Easy Mattress. 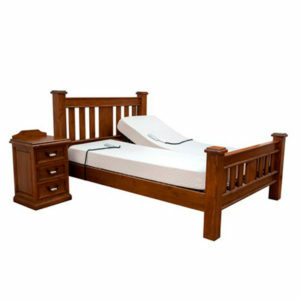 Price includes : Regular Profiling Head and Foot end Mechanism and Sleep Easy Mattress. Price includes : Regular Profiling Head and Foot end Mechanism,and Sleep Easy Mattress. Profiling Electric Adjustable Beds-(Raise at the Head and the Feet) also includes High-Low (Vertical Lift). Price includes : High-Low/Vertical Lift Mechanism and Sleep Easy Mattress. Price includes :High-Low/Vertical Lift Mechanism and Sleep Easy Mattress. Price includes : High-Low Mechanism and Sleep Easy Mattress. Dual Mechanism Dual Mattress Profiling Electric Adjustable Beds. 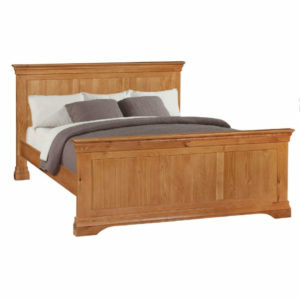 160cm (2 x 80cm) (approx 63 inches) x Bed Length : 200cm (approx 6ft.7 inches). Price includes : 2 x Standard Profiling Head and Feet Mechanisms and 2 x Sleep Easy Mattress’s. Dual Mechanism Dual Mattress Profiling Electric Adjustable Beds with One Side High-Low (Vertical Lift). Price includes : 1 x Standard Profiling Head and Feet Mechanism, and 1 x High-Low/Vertical Lift Mechanism,and 2 x Sleep Easy Mattress’s. Price includes : 1 x Standard Profiling Head and Feet Mechanism, and 1 x High-Low/Vertical Lift Mechanism, and 2 x Sleep EasyMattress’s. Price includes : 1 x Standard Profiling Head and Feet Mechanism, and 1 x High-Low/Vertical Lift Mechanism, and 2 x Sleep Easy Mattress’s. Extra Length : 210cm : 83inches. Price on request. Extra Length : 220cm : 87 inches. Price on request.